Desirable updated home in the Timbers close to town, river, & restaurants! You will LOVE this home w/open flr plan--laminate 1st floor (2018), furnace & A/C (2015), humidifier (2019), wtr heater, sump pump, vinyl siding & gutters (all 2018). Windows (2009) Lrg living room flows into dining rm w/ceiling fan-light & chair rail. Kitchen boasts granite counter tops, jazzy back splash, newer SS appliances, & disposal (2017). Kitchen is adjacent to FR w/brk FP & wall of windows w/built-ins--wonderful for entertaining or everyday living! 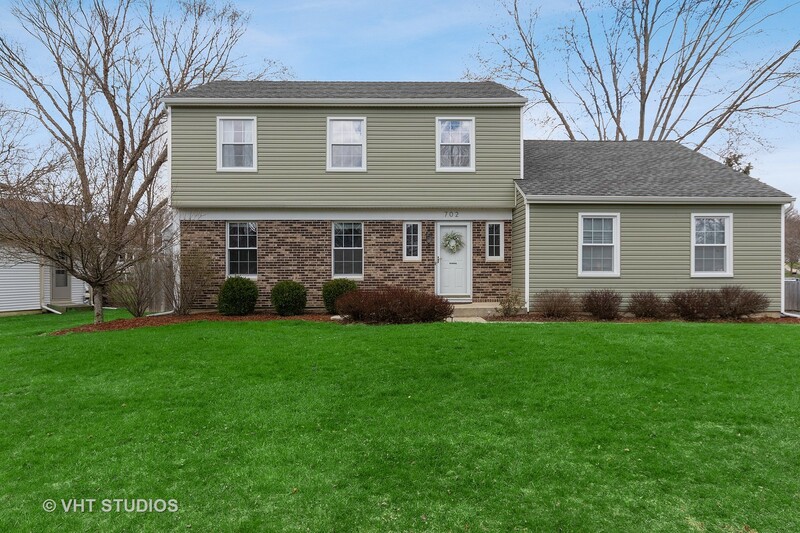 MBR has double window, ceiling fan-light, & updated master bath for your enjoyment. BR2 & BR3 share the updated hall bath w/tub shower. Finished basement offers rec rm (or could be BR4), wonderful storage area, & laundry. You will really enjoy the fenced yard with patio and shed for extra storage. Walk to Timbers Trail Park or stroll down town. Great subdivision w/road access in all directions! Make this your new home---everything has been done for you!